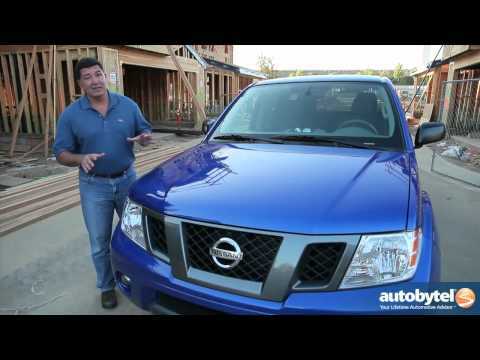 If you're looking for a compact pickup with big aspirations, the 2012 Nissan Frontier Pickup makes a good choice. Able to tow up to 6,500 pounds, the Frontier Pickup is a rugged workhorse that just also happens to be rather fashion savvy around town. Very good on gas and never have had any problems with it. My vehicle is very reliable it has a back seat that I can fit 3 people in. Also has the pick up bed to load trash off with. It is good on gas. Ac and heat have never had a problem with. Has built in Bluetooth and CD player. Also is 4 wheel drive so it helps during snow. Also lets you know on the dashboard if there's any issues such as tire pressure low oil or battery light etc.. Has on steering wheel volume control coast and accelerate buttons along with Bluetooth controls. Lots of compartment to put stuff in very comfy for long travel. Solid, reliable truck for everyday driving. Positives: drives like a large car, 4-doors are great for groceries/transporting items/passengers, 4-wheel drive has been great in winters, good acceleration, no minor/major issues after 4 years, ac/heat works well, good sound system, beneficial steering wheel controls. Negatives: average gas mileage, small truck bed, since it is a 2012, it lacks some of the newer technological amenities in newer vehicles. Its classy and functions very well. It is very reliable, and performs very well. It is very comfortable, . . It has heated seats, roomy, and we have had many people say that they want one just like it. Gas mileage could be better but its livable. We bought it used 3 years ago and have had very few problems, other than normal wear and tare issues. . . We replaced the tires and just recently put on new brakes. Overall great vehicle. Nissan North America, Inc. (Nissan) is recalling certain model year 2012 through 2014 Frontier vehicles manufactured from November 28, 2012, through December 17, 2013. In the affected vehicles, a circuit breaker may have been installed incorrectly causing the main wire harness connected to the circuit breaker to face outward, potentially contacting a metal bolt located on the A-pillar. The bolt may wear through the wire harness covering, resulting in an electrical short which could cause a fire. Nissan will notify owners, and dealers will inspect the circuit breaker orientation. If the circuit breaker orientation is incorrect, dealers will repair the vehicles free of charge. The recall is expected to begin on, or about, March 24, 2014. Owners may contact Nissan at 1-800-647-7261.